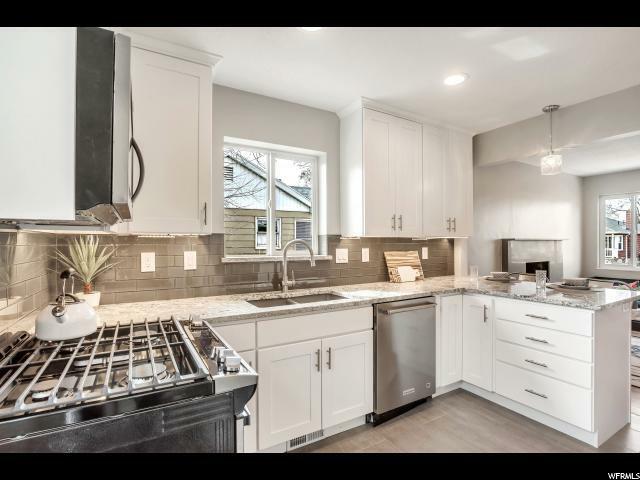 This beautiful Sugarhouse remodel is ready for fun times. 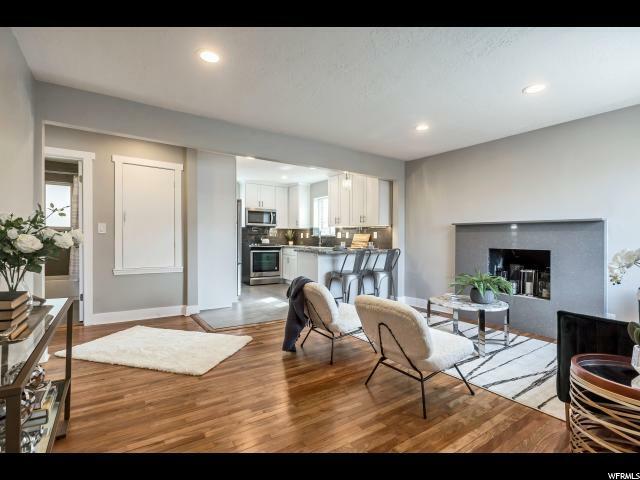 The open concept floor plan, features fresh paint throughout, can lights, new vinyl doors, and a really cool quartz surround fireplace. 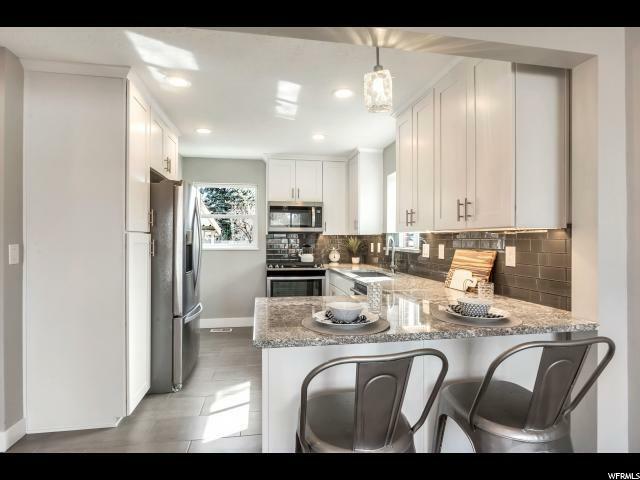 Nicely stained & refinished hardwood floors, white kitchen cabinets with soft- close drawers, granite counter tops with glass back splash, tile floors and new brushed silver appliances. The bathrooms are nicely appointed with new sinks and vanities, tile floors and tile bath surround. 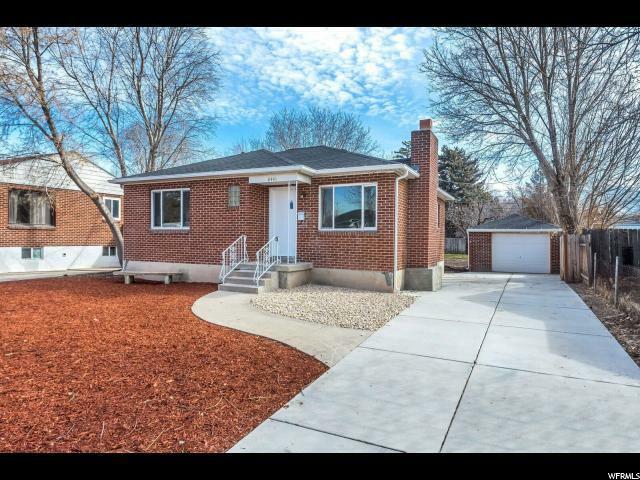 A fully finished basement with a cozy family area and storage, two new bedrooms with large windows, new carpet, a nicely tiled laundry room, new energy efficient furnace, water heater and central air. Everything is new and updated including the roof, all plumbing and electrical to code, new driveway and garage door is a nice touch. Did I mention there is a nice sized covered patio, so fire up the Traeger grill and let's get this party started. There's a big back yard with a shed for your tools. Grow fresh veggies to share with family and friends. Square footage figures are provided as a courtesy estimate only and were obtained from county records. Buyer is advised to obtain an independent measurement.